With an increased demand for compact mounting solutions in the automation industry, R+W has released the CHB housing for parallel assemblies of motors and actuators. 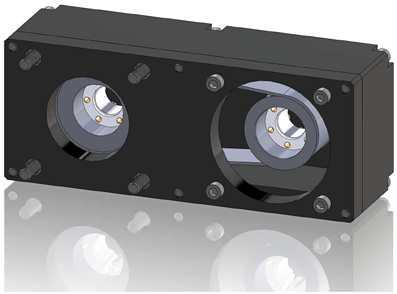 These box housings are available in 5 compact sizes and 2 ratios, allowing for an easier selection process during the design phase, in addition to downsizing of motors. Each unit is machined to order and fits the motor / gearbox and actuator mounting patterns. The frame is made from solid machined anodized aluminum, offering corrosion protection and robust construction. The keyless clamping system inside ensures smooth operation without slippage even during fast reversals. Download the datasheet and find out more about this new mounting solution.